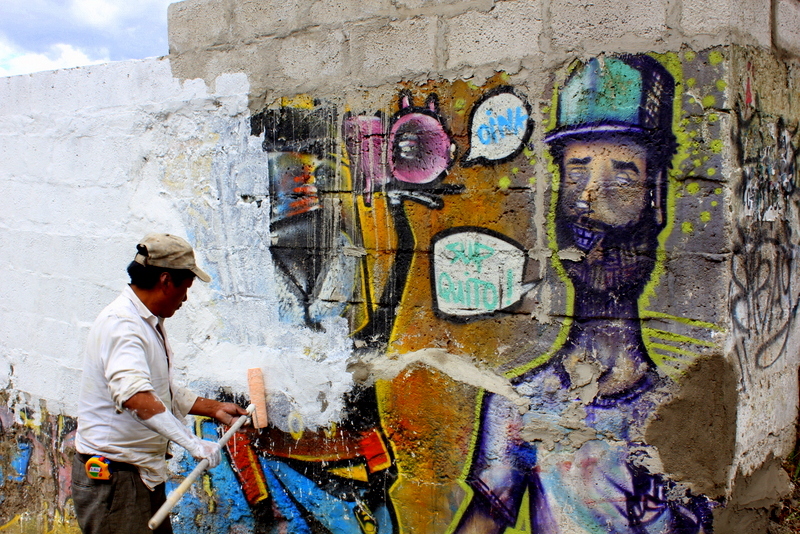 I have a deep fascination/appreciation for the street art around Ecuador. It goes beyond graffiti to find a new way to transform the dull gray concrete walls of a quickly developing city. These artists mostly are unpaid, but do it for love of the art images that can be quickly defaced or erased. Here’s a few from my neighborhood in the La Floresta and also Guapulo. the last minutes of existance for this piece….